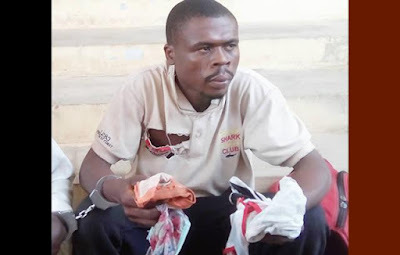 The Ondo State Police Command, on Wednesday, arrested a man, Adojoh Ojonugwa, for allegedly stealing his brother wife’s pants in Akure. The suspect was arrested along with a pastor, Olajide Ogunleye, who was also alleged to be involved in the crime. Five ladies’ pants were found inside Ojonugwa’s bag, two of which reportedly belonged to his brother’s wife, while his sister owned the others. The 35-year-old Kogi State indigene was alleged to be planning to use the pants for money-making rituals. It was gathered that when the brother’s wife discovered that her pants had been stolen by the suspect, she reported the matter at the police station, after which Ojonugwa was arrested. 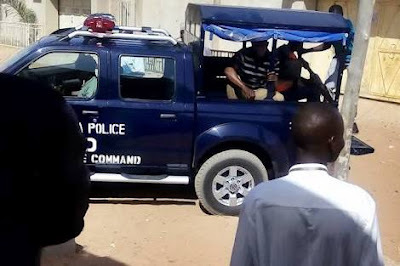 Parading the suspect at the command’s headquarters in Akure, the Police Public Relations Officer, Mr Femi Joseph, said Ojonugwa, in connivance with Ogunleye, stole the pants in a bid to use them for money rituals. He said both suspects had confessed to the crime and would soon be charged to court after the completion of police investigation. Ojonugwa, while speaking to journalists, confessed to the crime, adding that he was instructed by his pastor, Ogunleye, to bring women’s pants to be used to prepare a portion for good fortune and favour. He said, “When things were difficult for me, I approached the pastor to help me out spiritually and he first gave me something like seeds to swallow and then asked me to go and bring women’s pants as ingredients for money rituals. Ogunleye, however, denied the allegation, saying he was set up by Ojonugwa and his brother. Ogunleye, who claimed to be a pastor at a Celestial Church of Christ in Uso in the Owo Local Government Area of Ondo State, admitted to helping people to solve their problems spiritually but insisted that he never met Ojonugwa. He stated, “I don’t know him; I never set my eyes on him before now; he and his brother are just lying against me; it was his brother that I know. He wanted to buy a piece of land from me but I refused to sell the land to him, because he wanted to use the land to plant cannabis.